Valet parking on Ocean Avenue or lots of structure parking where the first 90 minutes are free on 2nd Street. For catering your special events, please visit www.plancheck.com or email us at catering@plancheck.com or call (213) 674-0341. For private events, please visit www.plancheck.com or email us at events@plancheck.com or call (213) 674-0341. 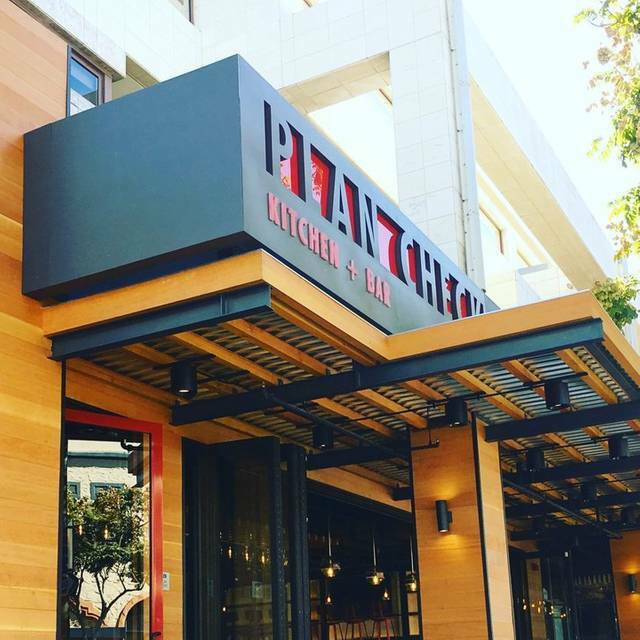 Plan Check Kitchen + Bar has multiple neighborhood restaurants located in Los Angeles, serving modern American comfort food in a small plate format along with unique cocktails, premium whiskeys and craft beers. The Plan Check name and brand stem from the first location, adjacent to the Building and Safety Department, where hundreds of Architects, Developers, Designers and Engineers flock daily to get plans reviewed for permitting. It embodies the architectural/creative lifestyle and the culture that surrounds it, effortlessly blending vintage architectural office elements with industrial pieces, rich materials and a warm atmosphere. Plan Check Kitchen + Bar is also the home of Ketchup Leather™. 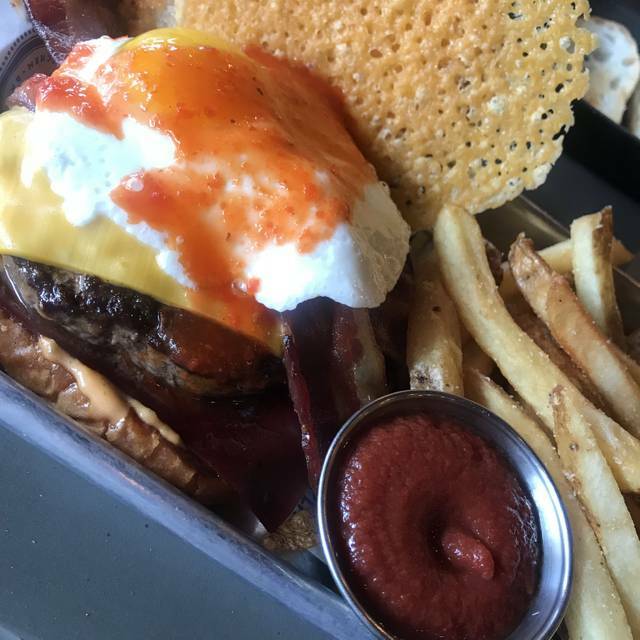 This innovative square of deliciousness makes the Plan Check signature burger unique--not only does it add great flavor, it also prevents the burger buns from getting soggy! One might never think about ketchup the same way again. 2. Other parties were seated after us and had their order taken, BEFORE we even got greeted by our waiter. We had to go to the bar to place our food and drink order. 3. Waiters were drinking alcohol behind the bar. I will say this, the food was very delicious, and I would return to this establishment had the service been even slightly better. There was a bartender that worked that evening that was really friendly and ended up turning the night around. Food was really good, especially the waffle and waffle fries. We would definitely be back. My only problem was that ALL of their heaters ran out of propane. Sitting on the patio in the shade was quite chilly for us. This place DOES NOT take reservations, so I found it irritating that I was able to make a rez on line but they said they don't take rez. Food was good and quite ample. I had a watermelon paloma that was PEPPERY which was okay, not expecting it though. I didn’t expect Plan Check to be as sports barish as it was. But the food was good and the staff was friendly and attentive. Hostess sat our party at a table too small, with food and condiments still on the chair and table from previous party. They were out of coke and served diet with out letting us know of the required change, then never checked in with us as we are. Pretty bad experience. I wouldn’t be back. Excellent, professional and very courteous service. One of the worst dining experiences ever. They ran out of a few food items, glasses for water. Terrible service, the food came out cold and greasy. My girl friend and I went here for brunch on St Patrick’s Day. Our waiter was not friendly. His service was very slow. It was like he didn’t want to be bothered with the restaurant guests. I ordered the bottomless mimosas and my friend got the bottomless bloody Mary’s boy of which are $19. My mimosa tased like orange juice with a dash of sprite. My friends bloody mary was like tomato juice and water. We told the waiter to only charge us for single drinks instead of bottomless. He took forever to take our food order. We both ordered the chilaquiles, mine with chorizo and hers with no meat added (she’s a pescatarian). When we were served he added chicken to hers. So we had to send it back and get a new one. The chorizo was like a weird paste, there were no real chunks of meat. And both of our dishes were covered in a tangy green salsa that was very cheep. Both dishes were very greasy. The crab dip we ordered was so fishy and weird. Like they put artificial seafood flavoring. We only had a couple of bites, then asked for the check and went somewhere else. I would not recommend this place and I will not go again. Our waiter was very kind and attentive but the service was really slow. Took us about 40 minutes to get one drink. It was like they gave up and management went home. It used to be a high end burger place but tonight there was no flavor. And no coke. Who runs out of coke at 6:30? I was embarrassed to take my out of town guests there. Was great! Love the chicken sandwich. Went for a casual date night and had no problem getting in. I think there was only one waitress working in the entire restaurant. It took her 45 minutes to take our order and give us water. The food was okay. The burger was not worth $18 - it tasted like something from Carl's Jr. What happened to the Nashville hotfish sandwich? Don't advertise super bowl specials if you're not equipped to show the super bowl! The volume didn't work, the two TVs were on a delay... we went there specifically bc of marketing emails to come watch the game and were very disappointed they weren't set up to do so. Also, the service was slow and there were mistakes all night. I do have to admit the food is good if you want upscale, bar food. Sweet potato waffle fries are awesome as is the PCP burger. Plan check was great. We caught the tail end of their happy hour. The pie and thigh was the best! We had Patrik to serve us and he was fantastic, the food was good. Not impressed with the hamburgers. Small thin patties. And over cooked Toppings were tasty though. This is my daughter’s favorite place to grab a burger. Unfortunately, today there was only one waitperson and he was diligent in trying to meet the needs of all the customers, but alas one person cannot effectively meet the needs of 30 patrons. My order was off, but the quality of the burger was on par with its usual service. Plan Check itself is amazing! This location could probably use another server or two on the floor though. Having 2 servers on a Sunday afternoon in Santa Monica doesn’t seem like the best idea. The waitress acted bothered the entire time we were there and did not listen to what I ordered. She ran out the minute we put cash down to pay our bill snatched it up and didn’t say thank you or anything. I love burgers, I served burgers at my wedding. My friends recommended very strongly that I try this restaurant - either they have terrible taste in burgers or the quality has gone down. I would not recommend this spot. Service was borderline rude, and food was just not worth the hype. Go to Umami, it's a 10 minute walk and way better! 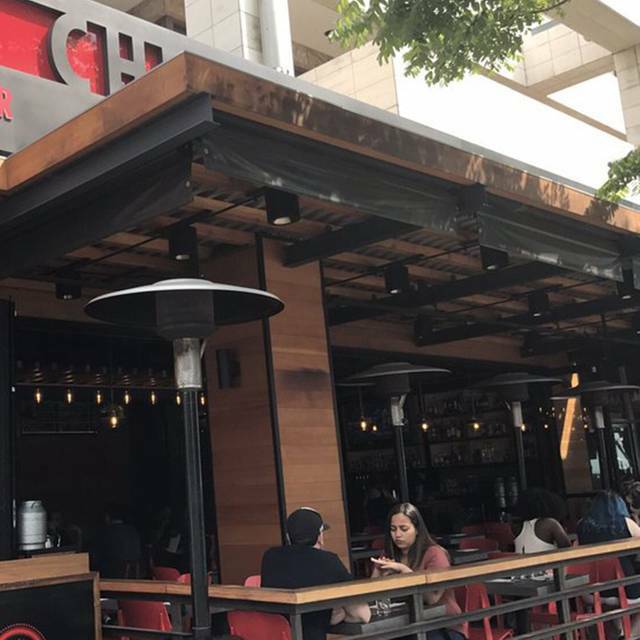 Great food, some of the best and unique burgers in LA. This location is noce as it is opened up to SM blvd and ocean way. Great burgers are their specialty. Lots of creative additions to these tasty burgers. Good wine and local beer choices. The only complaint is the sides sometimes include cole slaw which was just tasteless dry cabbage on the plate. Otherwise everything was very good. We had a going away brunch at Plan Check. With the exception of one person's food, the service, timing, and food was excellent. Our server has our table ready right away and made sure to keep our bottomless mimosas coming. One meal was served incorrectly (twice), but they made sure that wasn't included on the bill. Excellent service. Great location. Excellent time. Thank you! horrible service. waiter would disappear and the drinks took extremely long to come out. Service was slow as they were understaffed. Stellar service from Josias! He recommended excellent wine and beer - was extremely knowledgable about the food and treated us to an amazing churro donut dessert. My only suggestion would be to offer more dessert options - hint: chocolate. Great food, great location and really friendly service! Servers were friendly. Some of the Bacon was inedible, and they dropped some of our food, but replaced both quickly. Came here for a birthday happy hour with a friend from out of town. We were looking for a good happy hour menu and found it here. All of the sliders were great! !